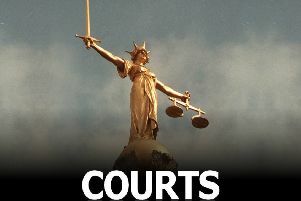 A 32-year-old Melton woman is to face trial charged with fraudulently receiving ‘large sums of money’ from a man. Kristie Bishop, of Bentley Street, appeared at Loughborough Magistrates Court accused of dishonestly making a false representation to obtain the money to pay hospital bills and debt collectors. She pleaded not guilty and opted for the case to be heard at a trial. Bishop was remanded on bail for a pre-sentence report to be prepared. Conditions of her bail are not to visit Egerton View in Melton and not to approach any member of the public to ask for money.